Hendersonville Muffler Company repairs exhaust systems in cars and trucks in the Hendersonville, Tennessee area. We diagnose and replace Catalytic converters and clogged and leaking exhaust systems regularly. 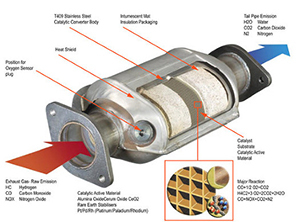 Modern cars and trucks have electronic control modules that monitor the Catalytic converter for proper operation and report the findings back to the ECM. The ECM commonly will alert the customer by throwing code PO420 which is a catylist efficiency code. Many of our clients go to the auto parts stores before they bring their car or truck to us. Code PO420 is a catylist efficiency code caused by the second oxygen sensor not reading enough of a change after the Catalytic converter. Many of our customers purchase the post catylist oxygen sensor from the auto parts store. It is very common to have the auto parts store tell you that the reason the light came on is because the oxygen sensor after the Catalytic converter is lying to the ECM. This is the case in less than 5% of all PO420 code problems. It is also very easy to test to see if the oxygen sensor is really working. It has been our experience that anyone who really understands how modern ECM/ PCM systems in cars and trucks function is working on cars and not at an auto parts store. 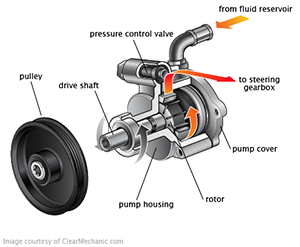 The technicians at Hendersonville Muffler Company understand the systems in modern cars. We keep our repairs as simple as possible in modern cars the same way we have for the last 21 years. We talk to the customer, verify what is wrong with the car or truck, diagnose it, and FIX it for a reasonable price. Come to Hendersonville Muffler Company and find out why customers have been happy with our auto repairs for years.